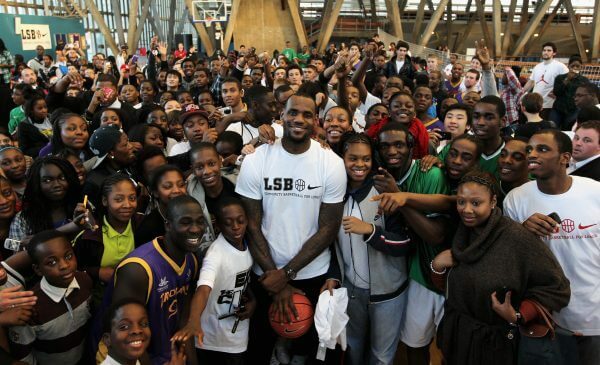 LeBron James is definitely making a difference with his celebrity. This week, he along with his foundation and Chase sent 500 kids and their families to a local amusement park for some end of summer fun! AIPN (Akron I Promise Network), a part of The LeBron James Family Foundation, does an awesome job of getting kids motivated to do better. James set this subsidiary up to give back to his roots. Children promise to make a serious effort to do better and be better for themselves and their community. The trip to Cedar Point was just one more way to reinforce the positive.